By Rep. Mark Bryant - If you’ve been following the news, you know there has been a lot of discussion about changes at the Windham Correctional Center. The plan to renovate the facility has been in the works for years, and it is finally starting to come to fruition. However, Gov. 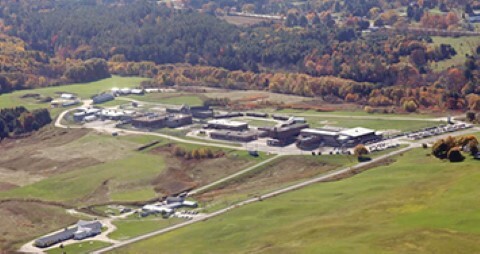 Paul LePage has recently thrown a wrench into the process by proposing to move mental health patients from Riverview Psychiatric Center to the Windham prison. This would delay implementation of the current plan that has already been thoroughly vetted by the community. Not only that, but it may even be violating the constitutional rights of Maine’s mentally ill, and I believe it would fail to meet the needs of both prisoners and mental health patients. Last week, I stood up before the Criminal Justice and Public Safety Committee to voice my opposition to any changes to the original project that have not come before the Windham community. Up to this point, I had been very pleased with the Department of Correction’s efforts to work with the community, provide information at forums and public meetings and listen to concerns to ensure that we are moving in a direction that we are all comfortable with. The governor’s proposal takes the project in a completely new direction. I believe that we must move forward with the critical renovations that have been the product of so much work. The scope of this project should be determined by the needs of the Windham Correctional Center and the needs of Maine’s correctional system as a whole, and a thorough process has led us to this point where we have a solid plan in place. A recent trip to the Riverview Psychiatric Center with the other members of the Windham legislative delegation made the importance of keeping these two groups separate even more apparent. Prisoners need programming that will in many cases lead to a reintegration back into society, including job training. Mentally ill individuals require treatment, highly specialized staff and a hospital facility that is geared towards their needs. The mission of the Windham Correctional Facility is “to improve public safety by decreasing the recidivism of both male and female prisoners by providing opportunities for correctional rehabilitation within a supervised and secure setting, while assuring the safety of the public, the staff and the prisoner.” We need to work towards renovating the building so that it is able to effectively fulfill its mission.